Thursday, April 26th was the 1st annual EMWolvesGiveBack day! 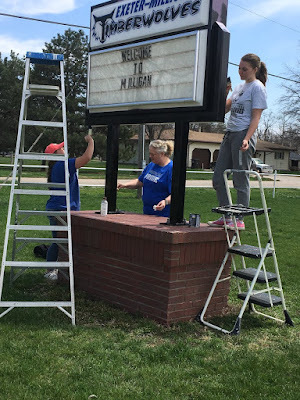 Students in grades 7-12 as well as the teachers spent the afternoon, giving back to their communities. 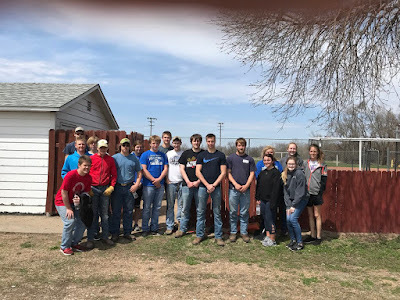 Each teacher was assigned a group of students who were then responsible for some daunting community based service projects! 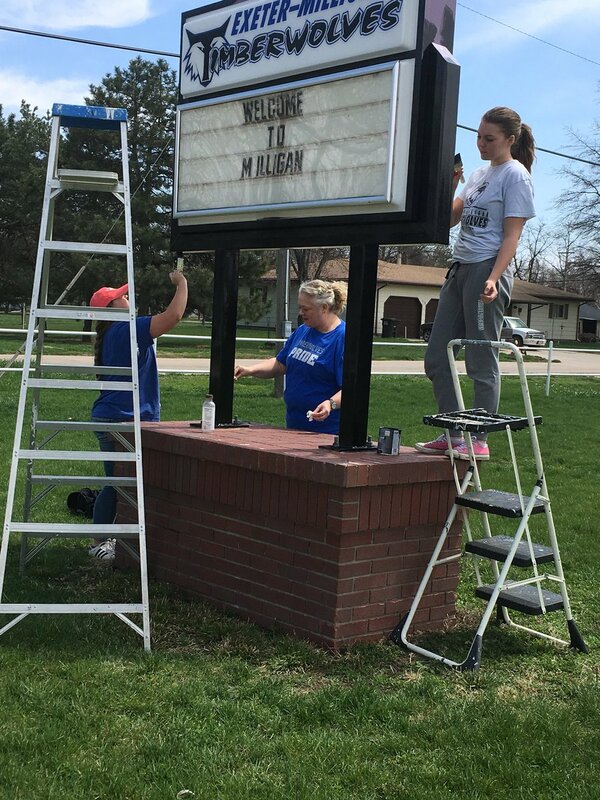 Close to 100 students and teachers participated in the project, amassing over 200 community service hours. By working together, the group accomplished more in one afternoon than it would take an individual to do in over a month! Plans are already being made for next years’ EMWolvesGiveBack day. 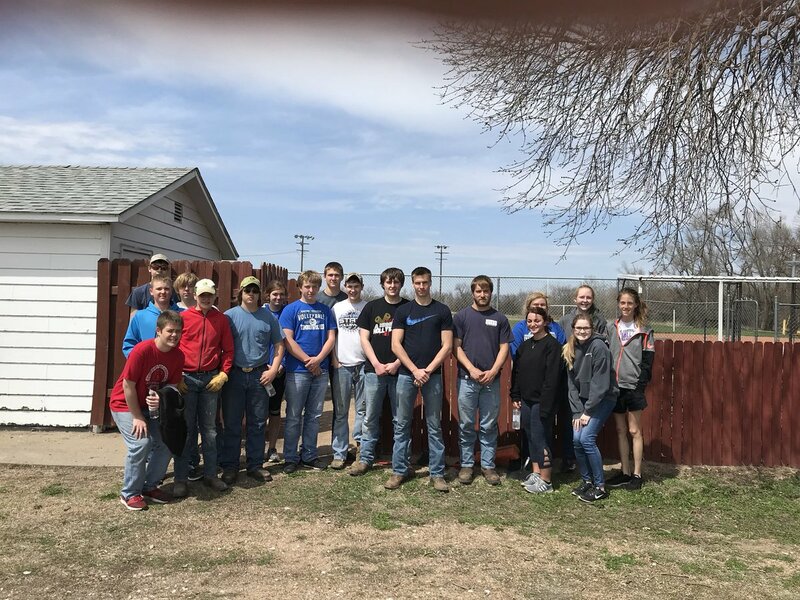 A big thank you goes to the students and teachers at Exeter-Milligan for their hard work, giving back to the communities of Exeter and Milligan. 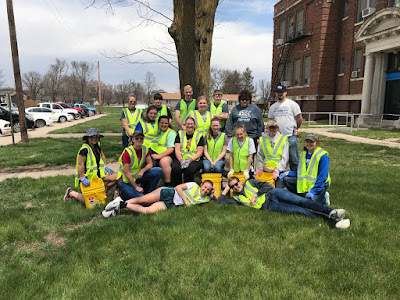 Action shots and other pictures are available on the school website at www.emwolves.org or via twitter – just follow #EMWolvesGiveBack.